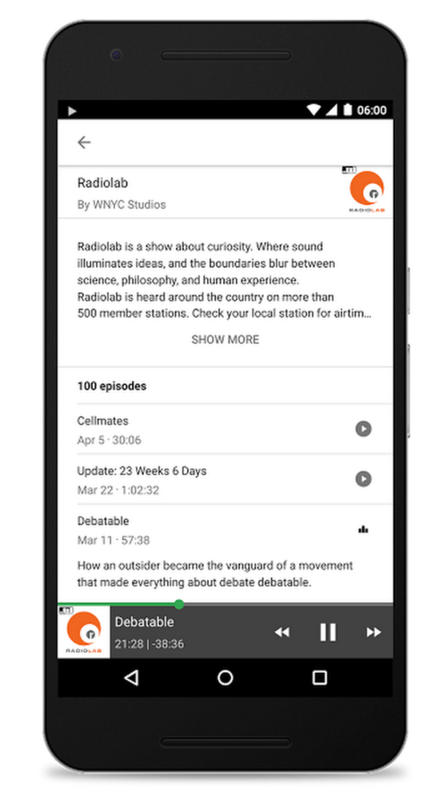 Earlier this week, we announced that podcasts are available in Google Play Music. As we said, everyone loves podcasts, so why not make them easy to find and listen to when you Search? 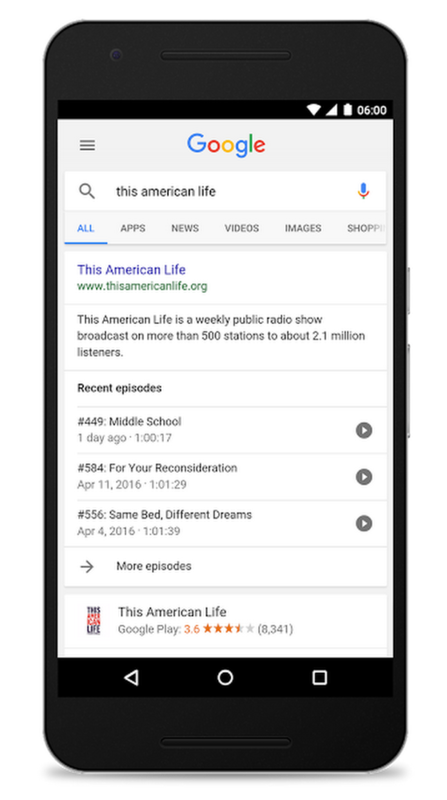 Starting today, you’ll be able to play podcasts right in the Android Google App. From Serial to Hidden Brain, Fresh Air and Radiolab, you can pick from thousands of podcasts and we're continually adding more. To try it out, search for a podcast and you’ll see three recent episodes, a play button for each, and an option to see more episodes. Podcasts are available globally in English. With controls at the bottom of your screen to play/pause, rewind or fast-forward, you’ll be free to browse the web on your phone while you listen — or even turn off your screen. The podcast will keep playing in the background until you’re done. Today’s update is just one more way that we’re working to make it easier for you to find what you’re looking for right in the Google App.